Simply put, I was a skeptic… “For years I suffered with on and off back pain…then I turned 30 and I was down on my back with the most intense pain that I had ever felt. The pain meds had run out and I was running out of options. Then I tried Chiropractic Care. It was the most profound experience of relief that changed the direction of my professional career. I decided at this point I wanted to help other people experience pain relief. The desire to give people an option to correct the underlying cause of the symptom and to improve their health for a long term benefit. The Chiropractor that provided my care recommended a few different colleges that offer a degree as a Chiropractic Physician. 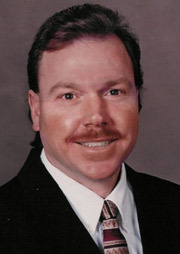 In December of 1999, I acquired a Doctorate Degree in Chiropractic at Sherman Chiropractic College in South Carolina. My goal is to provide the most effective and personalized chiropractic patient care possible. I have the opportunity to meet the most wonderful people and help them when they need it most. I love my job! Thanks for visiting our site. I look forward to meeting you and learning how we may be of service to you and your health. Please contact our Cookeville chiropractic office so we can help you take your first step towards better health. CHIROPRACTIC WORKS, LET IT WORK FOR YOU!